Leaf shape is a wonderful illustration of diversity, for the range of existing morphologies is strikingly high. 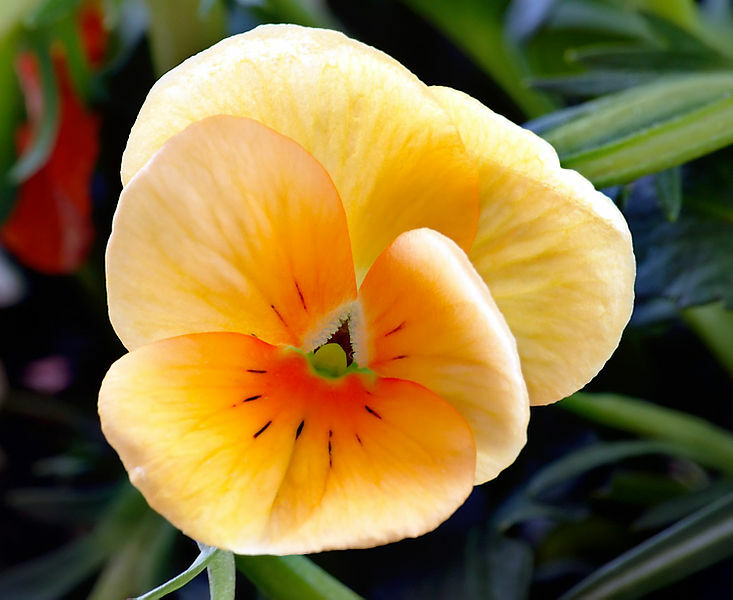 Even more, leaves prove evolutionarily labile characteristics as these organs may prove dramatically different between closely related species. Detailed reasons for such diversity is not yet completely documented of course, for there are probably plenty, maybe there is even a specific explanation to each individual shape. Or maybe such an evolutionary repertory could result from drifting developmental pathways without adaptive explanation. Both processes may also be involved but today, we stand to an adaptive story: the amazing drip tip adaptation of acuminate leaves. 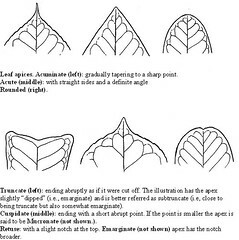 Acuminate leaves are a rather basic morphology, consisting of simple leaves narrowing and eventually tapering to a slender tip (illustrated shape is first left on the second row). It is also frequently designed as drip tips, and indeed it certainly has something to do with draining waters. This is the classical adaptive argument, though the exact adaptive reason is diverse: this shape can function as a drip to more rapidly dry the leaf (indeed, the shape is rather frequent in species from humid tropics), possibly to decrease colonization by fungi, lichen and moss epiphytes, and avoid any unfortunate accumulation of debris (which usually fasten the colonization by small epiphytes). But these hypotheses, or possible reasons to an adaptative scenario leading to the evolution of acuminate leaves, never were really tested until the beginning of this century*. 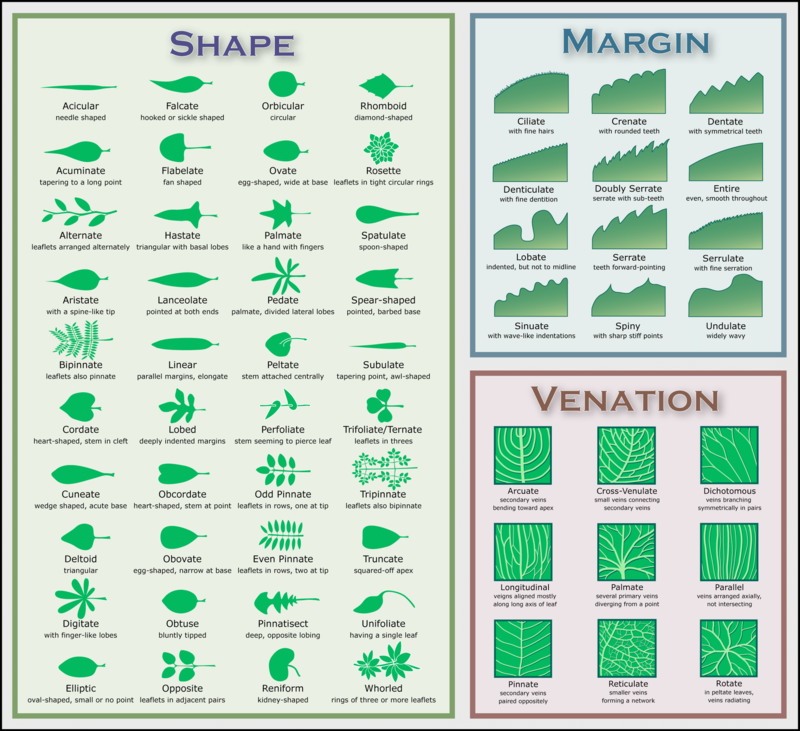 In this study, experimental manipulation of leaf shape allowed to qualify in these diverse hypotheses and determine which factor was most altered by the shape treatment in a range of tropical species. Interestingly, dript ips are a very efficient way to prevent colonization by parasitic fungi (via a pathway most probably involving efficient drainage, which was also dramatically affected by drip shape). On the other hand, neither epiphytic colonization, nor debris accumulation, were significantly affected by experimental leaf shape modifications (though there is apparently a non significant trend in epiphyte colonization). Drip tips may therefore be an adaptation to avoid colonization by fungi, but not much against preventing mosses and lichens to grow on leaves. * C.T. Ivey and N. DeSilva (2001). A Test of the Function of Drip Tips. Biotropica 33(1) : 188-191. This is certainly the fourth article, of yours I really went through.